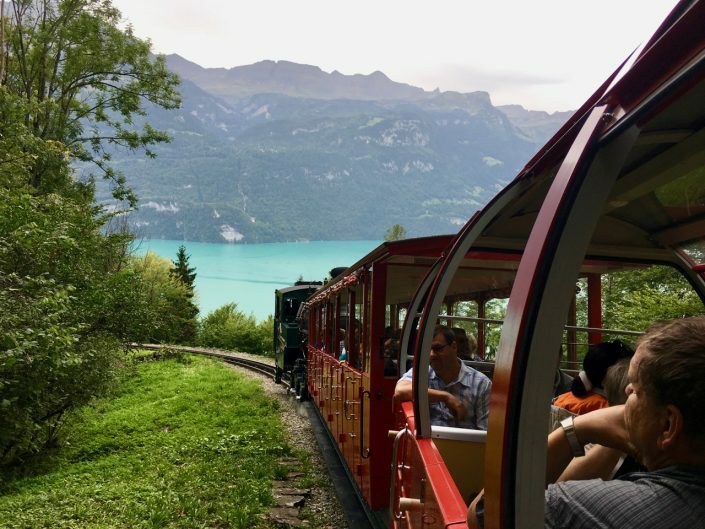 The trip up the mountain was via a red panoramic steam train which has been operating since 1892 from the shores of Lake Brienz to the summit at 2350 m (ca. 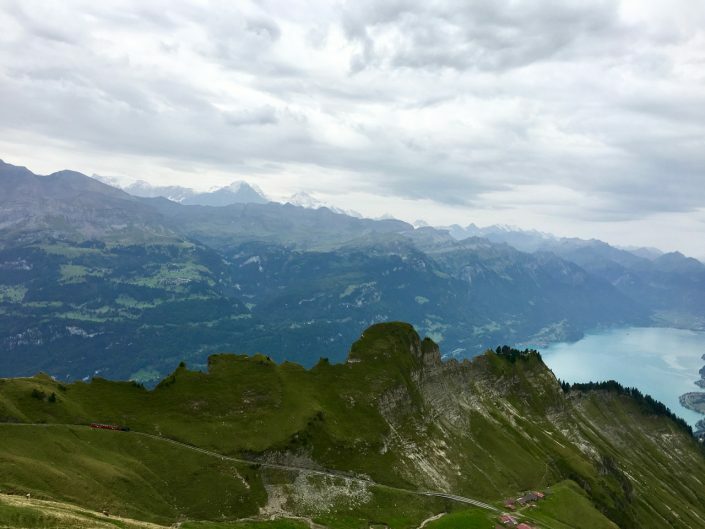 7700 feet). 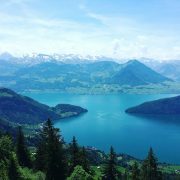 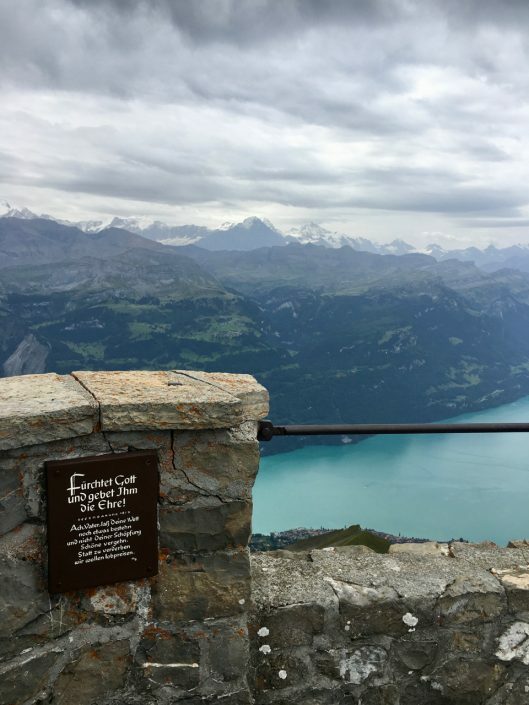 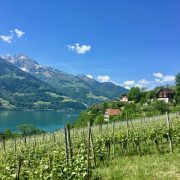 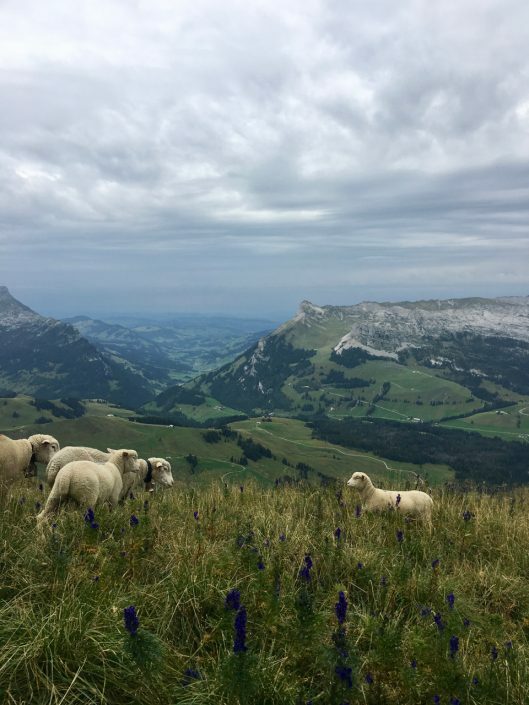 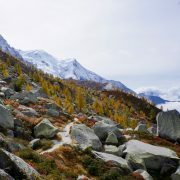 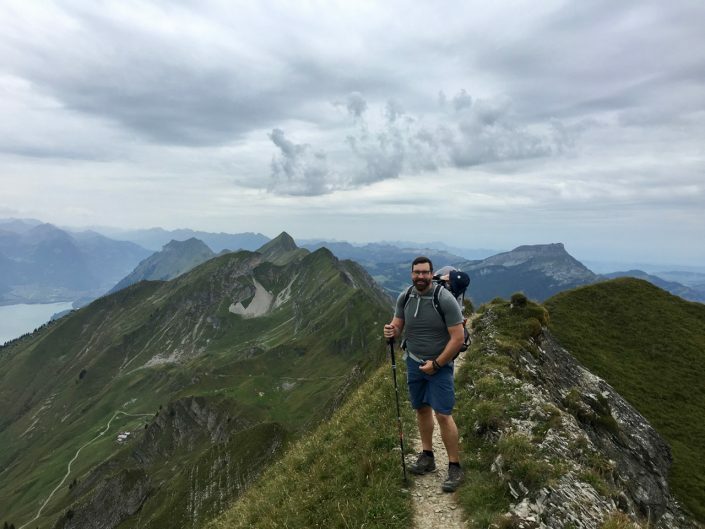 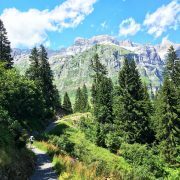 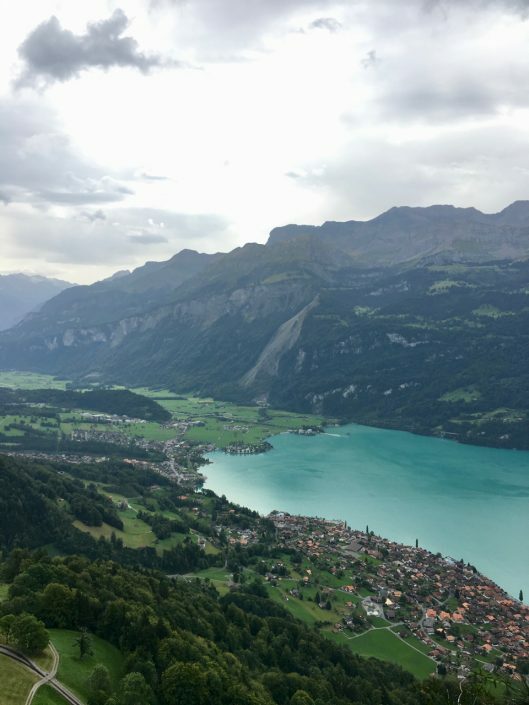 We enjoyed the mostly easy path, catching up with our friend Andrea, and the views both into the valley and over the beautiful blue glacial waters of Lake Brienz and over green slopes towards the Eiger, Mönch, and Jungfrau. 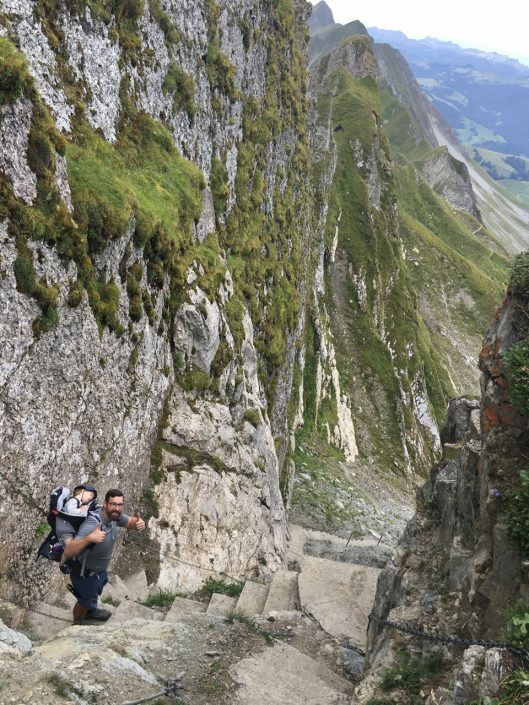 There was also a steep but fun descent down a concrete stairway making up part of the trail. 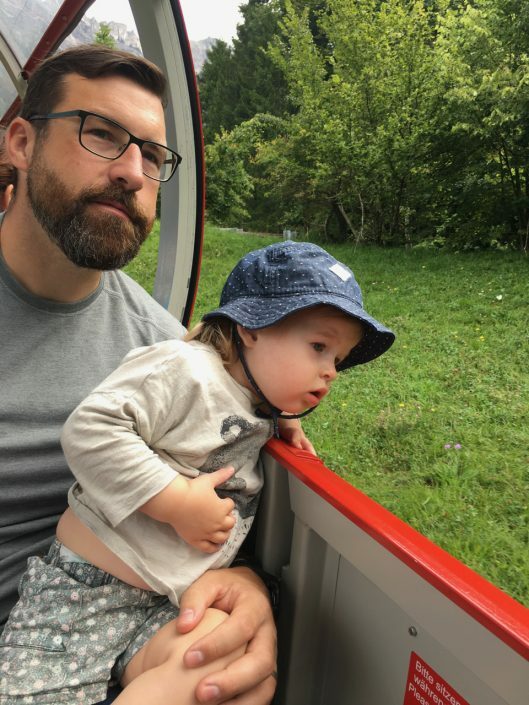 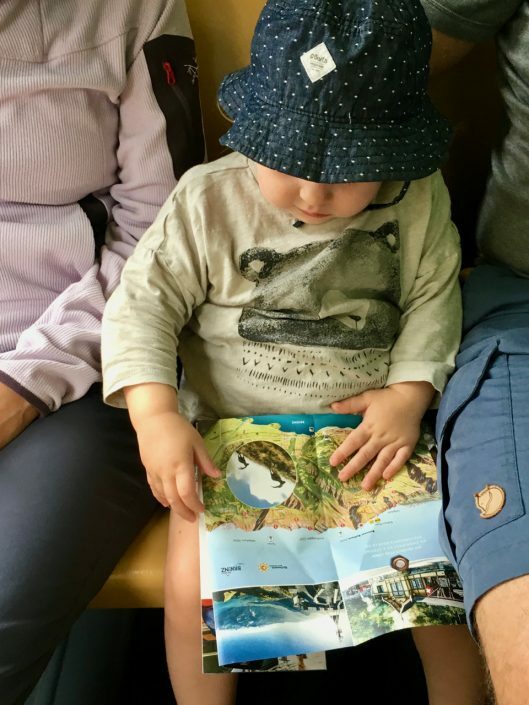 For Reese, the most fun parts of the day were definitely the train ride itself and seeing some happy sheep along the path. 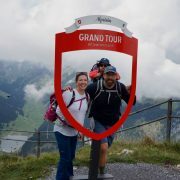 Here are some more photos from our day, as well as the details on our hike . 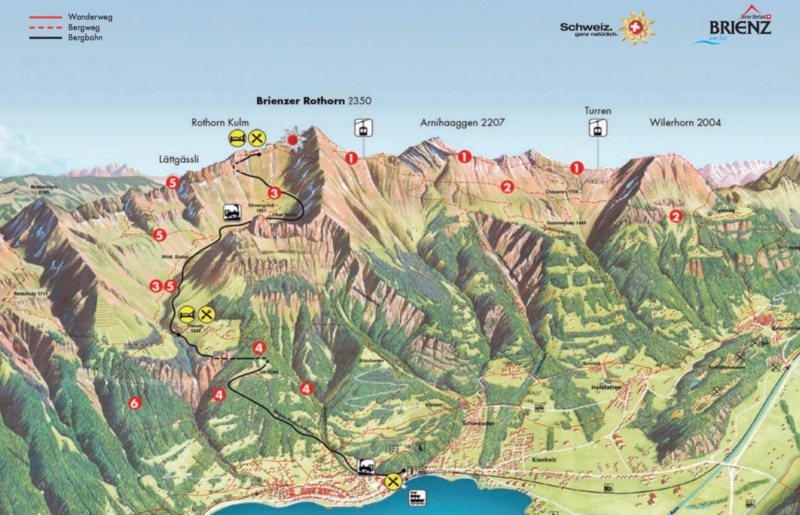 . .
After riding the steam train up and walking a bit farther up for views from the summit, we headed off a on trail that would take us from the Brienzer Rothorn across the ridge and then down to Planalp (via Lättgässli and Chruterenpass), route 5 on the map below. 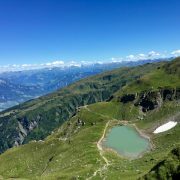 It took us just under the estimated 2:45 hiking time to cover the ca. 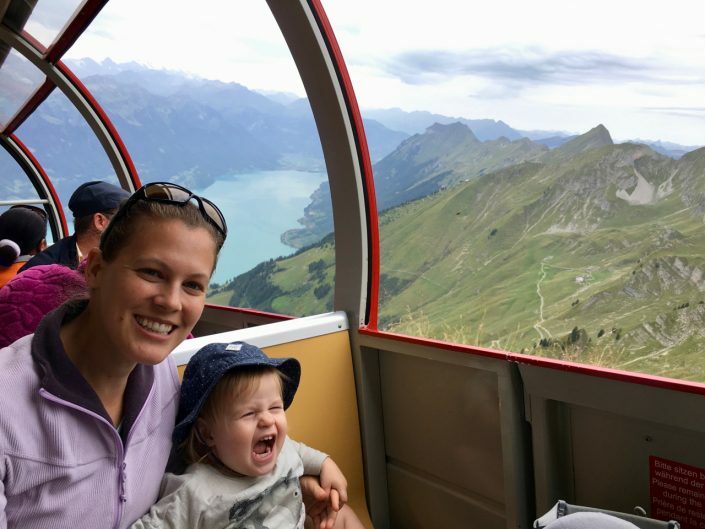 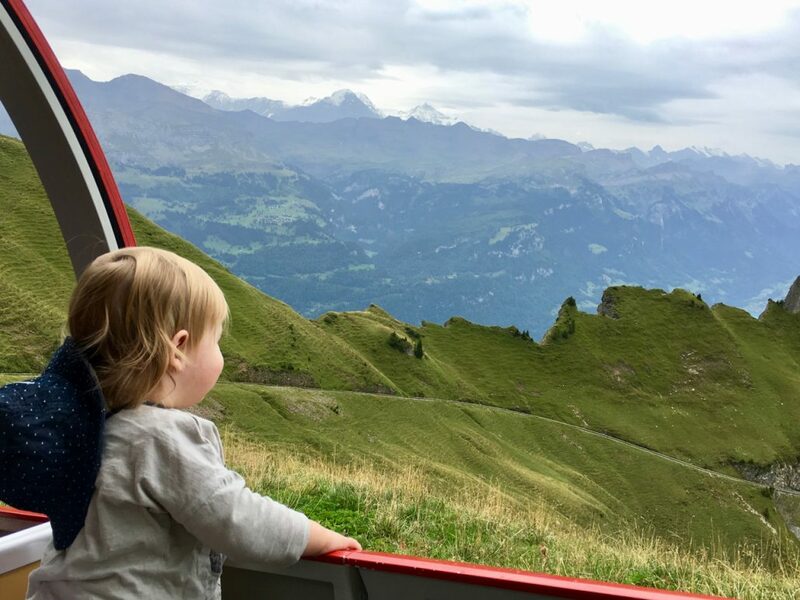 4.5 miles and we had time to use the bathroom and let Reese play in the sandbox before the catching the train back down to Brienz. 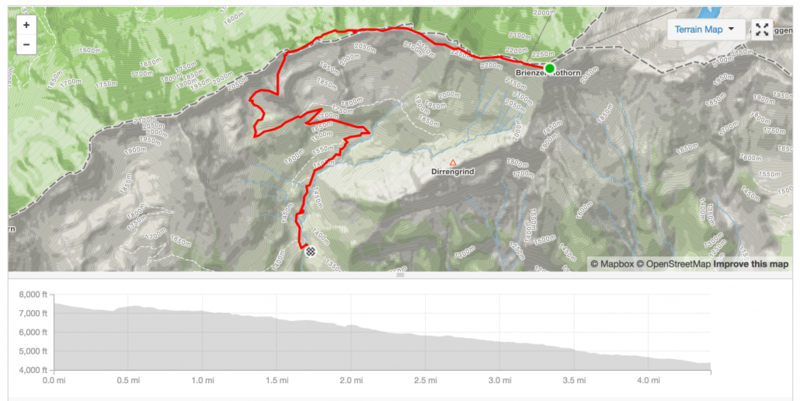 Here is the route as captured by my Garmin watch. 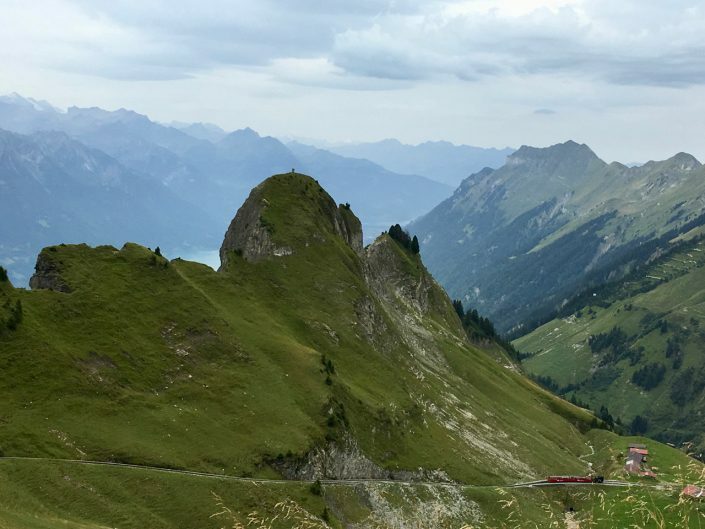 The trip from Zurich to the Brienz Rothorn rail station in Brienz is about 1:30 by car and 2:30 by train. 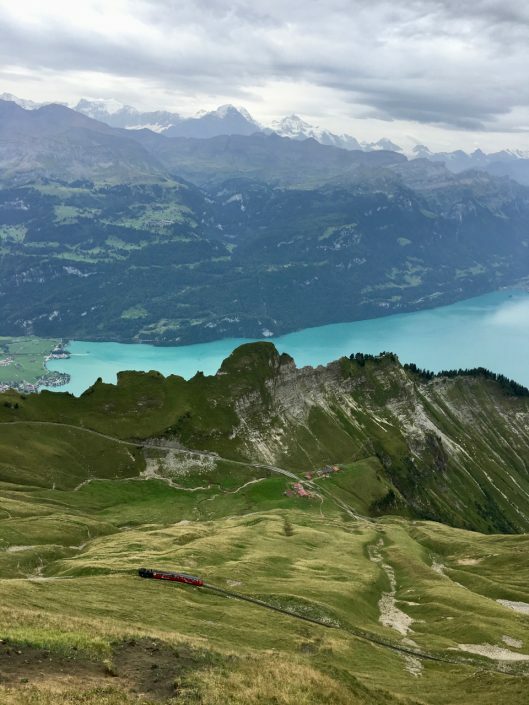 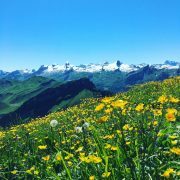 The steam train takes about an hour from the base to summit of the Rothorn. 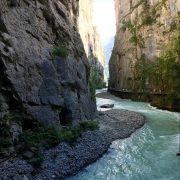 Ticket prices and more information can be found here.